Notices for Lost & Found, Buy & Sell and Pets to Swap. 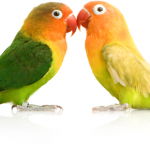 30 years experience in bird breeding means we understand the freighting industry for precious pet cargo. We do our best to undercut the rest. you save with freight across Australia. Each and every day we are on hand to take your calls and handle your freight bookings. Nothing is too much trouble for our dedicated team. We strive to exceed your expectations and deliver excellent customer service. What Airports are Birds/Reptiles accepted? Where can I get my movement advice / import-export permit? Feathers and Scales Freight is a booking agent for Bird and Reptile freighting across Australia. We do NOT box or transport your birds or reptiles to and from the airport.